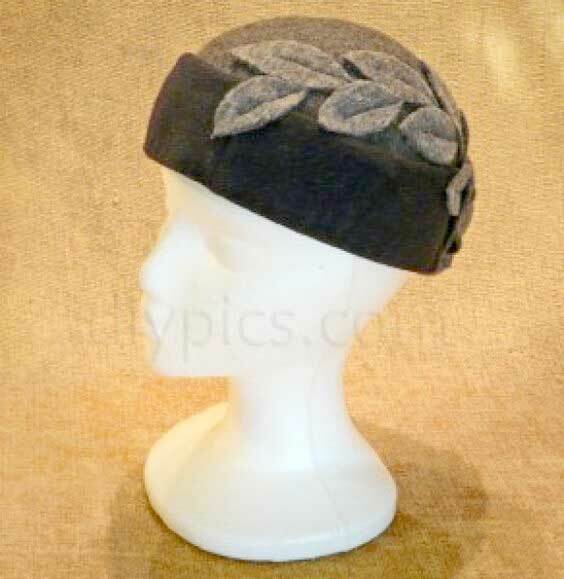 I’ve been working on a “ten things you can make for Christmas gifts” list, so when a friend gave me a huge piece of heavy gray wool fabric, I decided to try making felt hats for the list (shrunken wool = felt). I watched at least an hour’s worth of millinery (hat making) videos, took out the styrofoam head form that I’d gotten to use for my homemade latex mask, and went to work. I discovered that felt is unbelievably forgiving, easy to cut into shapes, and does not fray. Making felt hats is easier than I suspected. 1. 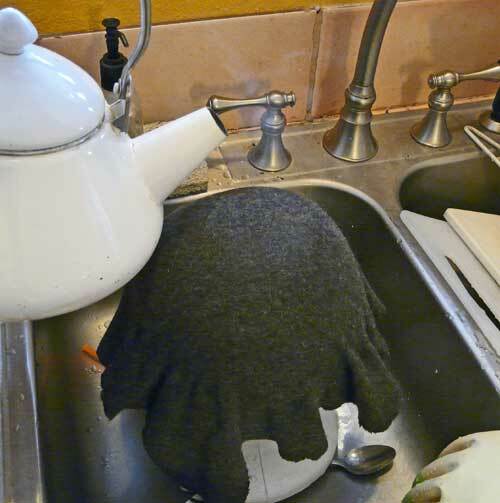 Cut a circle bigger than you think you’ll need for the hat, set it on top of the hat form, and place it in a sink. 2. Pour boiling water over the wool felt (synthetic felt does not work) and stretch the felt down over the head form. Keep pouring and stretching until you get a smooth round shape over the form. 3. 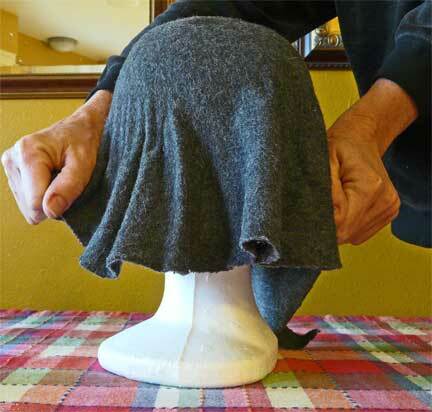 Pin the felt to the head form and let it dry. Overnight is a good stretch of time. 4. 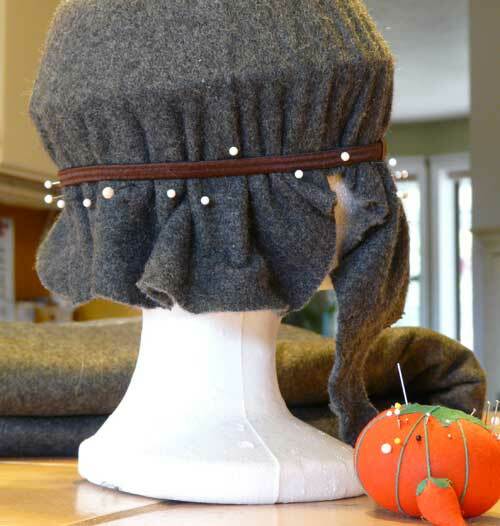 Cut the felted hat dome that will serve as the top of your hat. You may, if you want a firm hat, paint the inside of the dome with a mixture of school glue and water (do not soak the felt). Allow to dry. Your design is fantastic. Makes a person want to wear a hat just for the heck of it.